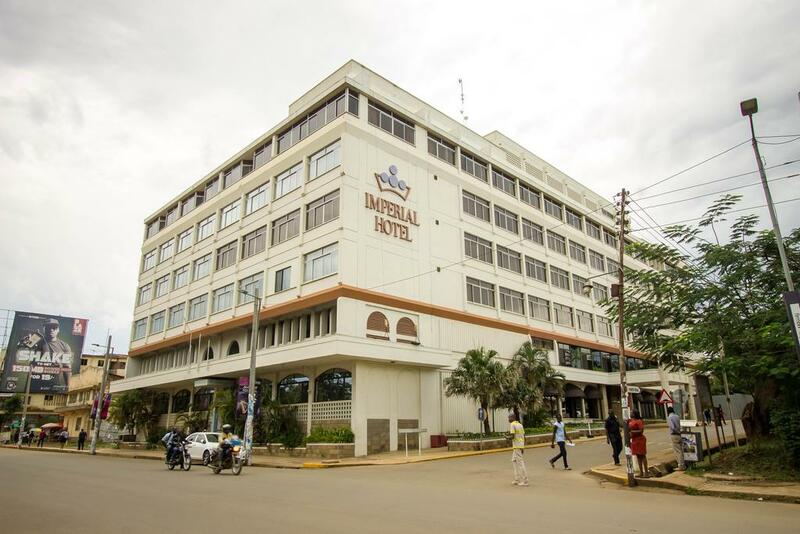 Set on the shores of Lake Victoria in Kisumu, Imperial Hotel offers a 24-hour front desk, an indoor pool and a restaurant. Free Wi-Fi and private parking is available. The well-appointed and elegant rooms have double glazed windows and are equipped with air-conditioning, a satellite TV, a telephone, a mini fridge and an electronic safety deposit box. The Club Rooms also have a sofa and feature city and lake views. The private bathrooms are fitted with bathrobes, a hairdryer and free toiletries. Florence Restaurant serves local and International cuisine. Snacks and cocktails can be enjoyed at Shalimar Lounge Bar, offering panoramic views of Lake Victoria. The hotel also has a coffee shop and a sports bar. Other facilities offered include a shared lounge, luggage storage and meeting and conference facilities. Airport transfers can be arranged for a fee.